BASKING RIDGE, NJ and SCOTTS VALLEY, CA, Oct 25, 2011 (MARKETWIRE via COMTEX) -- MediaTile, the recognized leader in 3G and 4G cloud-based digital signage solutions, today announced that its HumanKiosk Solution, powered by the company's MediaCast Video Presence system, is now available on the Verizon 4G LTE network. The HumanKiosk solution revolutionizes in-field customer service for point-of-sale or point-of-service environments by combining the capabilities of interactive digital signage with on-demand, virtual experts and face-to-face interaction. With the integration of Verizon's fast and reliable 4G LTE network, the HumanKiosk supports secure, high-definition, two-way face-to-face video conversations with nothing more than a power source on site. With this solution, marketers can humanize their brand interaction, improve the customer experience, and deliver their messages with absolute control and precision across Verizon's 4G LTE network without on-site staffing. "By combining the advantages of the HumanKiosk with the power and speed of Verizon's 4G LTE network, in-field marketing and customer service can be changed dramatically," said Brian Higgins, vice president, Network Technology at Verizon Wireless. "Our 4G LTE network helps businesses bring knowledgeable sales and support personnel to customers, at previously unheard of economics." The HumanKiosk Solution attracts, influences, and engages consumers in dynamic new ways. In a familiar, but oversized, smartphone and tablet-like format, it attracts consumers to scheduled and dynamically-generated media and engages with interactive touch-based digital promotions. The breakthrough in personalized service is achieved through MediaCast Video Presence. At the touch of an on-screen button, consumers can instantly enter a two-way, high-definition, face-to-face conversation with a highly-trained remote expert agent. These remote experts are available on-demand, and are automatically matched with the consumer's on-screen selections, which might include product, specific features, services, or language. The Verizon Wireless 4G LTE network is the nation's fastest, most reliable 4G network, covering more than 165 markets and providing speeds up to 10 times faster than Verizon Wireless' 3G network. The HumanKiosk is a result of collaboration fostered at Verizon Wireless' LTE Innovation Center in Waltham, Mass. 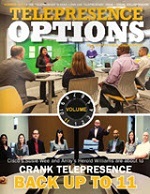 The LTE Innovation Center and the Verizon's Innovation Program ( www.innovation.verizon.com ) provide an environment for diverse companies to work together to develop innovative products that leverage 4G LTE technology. "By including Verizon's 4G LTE network services with the HumanKiosk solution, we can offer our customers an extremely reliable, amazingly fast, and highly secure face-to-face experience that requires zero on-site network infrastructure or effort to access," said Simon Wilson, CEO, MediaTile. "Unlike terrestrial telepresence systems, which are laden with complexities and unnecessary costs, Verizon 4G LTE is refreshing in its simplicity, security and overall solution elegance." Verizon Wireless operates the nation's largest 4G LTE network and largest, most reliable 3G network. The company serves 107.7 million total wireless connections, including 90.7 million retail customers. Headquartered in Basking Ridge, N.J., with nearly 83,000 employees nationwide, Verizon Wireless is a joint venture of Verizon Communications and Vodafone. For more information, visit www.verizonwireless.com . To preview and request broadcast-quality video footage and high-resolution stills of Verizon Wireless operations, log on to the Verizon Wireless Multimedia Library at www.verizonwireless.com/multimedia . 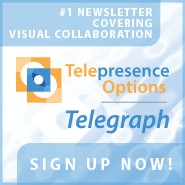 MediaTile is the worldwide leader in cloud-based digital signage solutions. MediaTile is transforming traditional B2C communications into B2Me engagement -- delivering information and personal interaction tailored to a viewer's specific wants and needs. 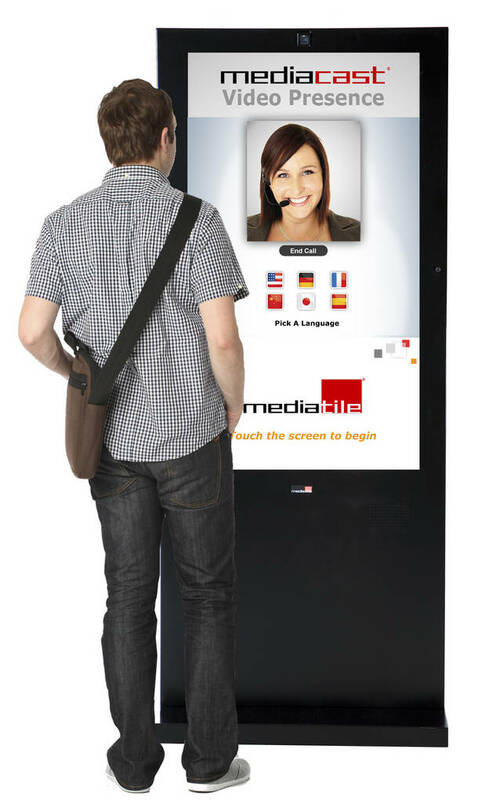 A digital signage innovator, MediaTile was the first company to deliver the advantages of cloud-computing using the unique combination of Cellular connectivity and a SaaS-based application. Our MediaCast Content Management and revolutionary MediaCast Video Presence systems enable you to attract, engage, and directly influence your audience with a unique "personal advantage." Digital signage networks powered by MediaCast are simple to deploy, easy to use, and enable you to achieve your communications goals and ROI faster. Our solutions have garnered customer praise and industry awards for increasing market reach and viewer interaction, while reducing costs and complexities. The MediaTile Company www.mediatile.com [email protected] (t)831-439-8786. \"By combining the advantages of the HumanKiosk with the power and speed of Verizon's 4G LTE network, in-field marketing and customer service can be changed dramatically,\" said Brian Higgins, vice president, Network Technology at Verizon Wireless. \"Our 4G LTE network helps businesses bring knowledgeable sales and support personnel to customers, at previously unheard of economics.\"
\"By including Verizon's 4G LTE network services with the HumanKiosk solution, we can offer our customers an extremely reliable, amazingly fast, and highly secure face-to-face experience that requires zero on-site network infrastructure or effort to access,\" said Simon Wilson, CEO, MediaTile. \"Unlike terrestrial telepresence systems, which are laden with complexities and unnecessary costs, Verizon 4G LTE is refreshing in its simplicity, security and overall solution elegance.\"
MediaTile is the worldwide leader in cloud-based digital signage solutions. MediaTile is transforming traditional B2C communications into B2Me engagement -- delivering information and personal interaction tailored to a viewer's specific wants and needs. A digital signage innovator, MediaTile was the first company to deliver the advantages of cloud-computing using the unique combination of Cellular connectivity and a SaaS-based application. Our MediaCast Content Management and revolutionary MediaCast Video Presence systems enable you to attract, engage, and directly influence your audience with a unique \"personal advantage.\" Digital signage networks powered by MediaCast are simple to deploy, easy to use, and enable you to achieve your communications goals and ROI faster. Our solutions have garnered customer praise and industry awards for increasing market reach and viewer interaction, while reducing costs and complexities. The MediaTile Company www.mediatile.com [email protected] (t)831-439-8786.